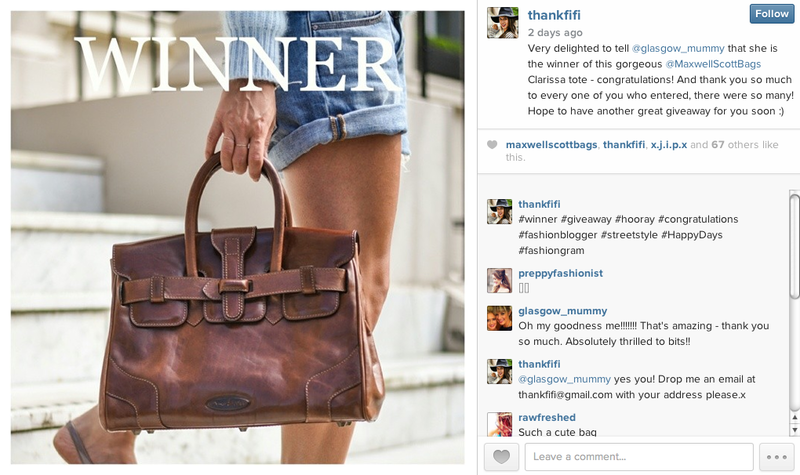 Wendy at thankfifi had announced the winner of her Maxwell Scott bag, and the winner was me!!! So I am now the proud owner of a Maxwell Scott Clarissa Bag and can happily tick off another item on my 35 at 35 list. Thank you thankfifi and Maxwell Scott. 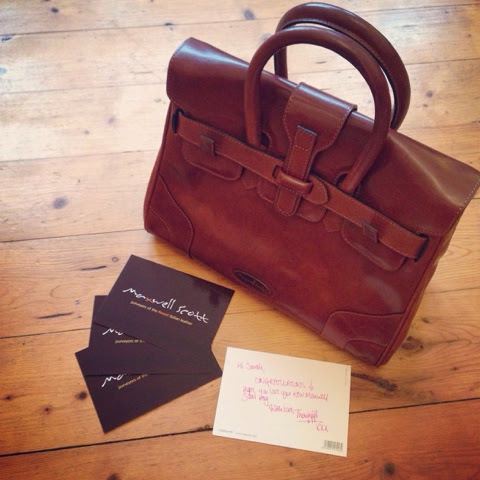 The bag is absolutely gorgeous, it smells amazing and I love that Maxwell Scott is a family run business that still use traditional methods to handcraft their bags in the heart of Italy. Their travel bags have also caught my eye - the Farini Cabin Bag looks beautiful. Definitely one for the wish list! Love your list of 35 at 35! I'm currently doing 101 things in 1001 days! That bag is so gorgeous and such a classic. There are many handbags available for women in which, they could not just keep their small stuff like makeup stuff, accessories etc. but also their own clothes and some big stuff as well. But now for women, choosing handbags is a difficult decision. Just like fashion and outfits, the trends of handbags are also changing and varying. Lovellie Sugaris the best place where you can get your desire outfits.